South Carolina Gov. Nikki Haley (R) signed the Medical Cannabis Therapeutic Treatment Research Act into law, clearing the way for children with severe epilepsy to use cannabidiol oil (CBD), a non-psychoactive derivative of cannabis, to help reduce their seizures if recommended by a licensed physician. 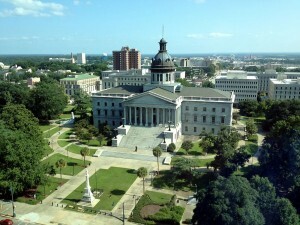 Proponents considered it a huge coup for an issue some thought could get blocked by more conservative members of the Republican-controlled S.C. Legislature. But the bill, which legalizes CBD oil, remains tangled. Policy-makers must confront how to get patients access to the drug when doing so remains illegal under federal law. Jill Swing, the mother of 6-year-old Mary Louise Swing, who has severe epilepsy, was a constant presence in the Statehouse as she pushed for the passage of the CBD oil bill this year. She said that while the bill legalizes the oil, there is no way for her daughter to get access to the treatment because no one can distribute it in South Carolina. She believes the oil could help alleviate her daughter’s symptoms. “We certainly made some headway, but we’ve still got work to do to gain access,” Swing said. She also hopes that the panel – which is still developing its full agenda – will discuss ways to help more sick children obtain access to marijuana. “I always felt like if someone has a child with cancer, their child has every right as mine (to access marijuana),” she said.